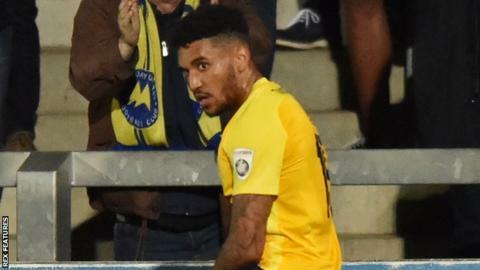 Torquay United have signed Exeter City forward Jamie Reid on a permanent deal until the end of the season. The 23-year-old was on a six-month loan from the League Two club - his third temporary spell at his hometown side. Reid has scored five goals in 63 league appearances for the Gulls, with whom he began his career as a youth player before moving to Exeter City. He made 27 appearances for the Grecians, scoring twice against AFC Wimbledon in his second game in 2013. Meanwhile, Gulls striker James Gray and goalkeeper Neal Osborn have left on loan. Gray, who has scored twice in 13 games this season, has joined National League North side York City on a month's loan, while Osborn has returned to Southern League club Barnstaple Town on a season-long deal.